Ahhhh fall. 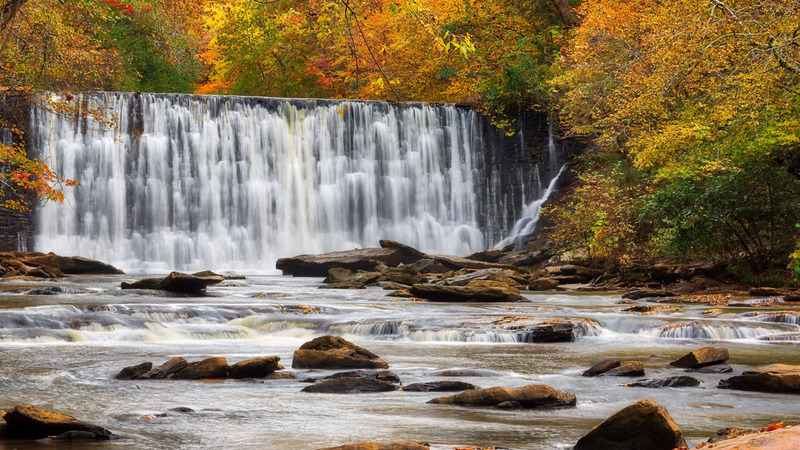 The falls are perfectly framed by such beautiful colors. I love the contrast of the white water with the colors of the leaves. Perfect little bits of color and light on the rocks in the stream pick up the color throughout the image. I’m happy to see this done as a 1/20 exposure, it helps to add to the feeling that you could be standing there listening to the water rush over the falls and rock and the leaves rustle in the trees. While I don’t mind the long exposure waterfall images out there, it’s nice to see a realistic version so well done once in awhile. Originally shared on the Photofocus Group on 500px here. Well, how about that! Thank you! It’s a gorgeous spot and shot.